Great opportunity to buy a profitable Meineke franchise in New York Metro. 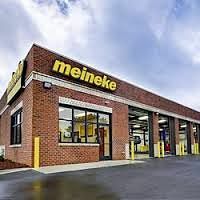 This Meineke location has been established since 1982 and is in a great location with very strong visibility and high drive-by traffic. This franchise business boasts sales over $1.2 M and is selling for ONLY 2.8X EARNINGS! The property has 7 service bays and occupies a 6000 sq ft facility. *Cash Flow and Sales figures need verification by buyer. Please apply to find out about special financing options. Meineke Car Care Centers has an established company history and has been in business since 1972. The ideals of the founder, Sam Meineke, are now an essential part of our corporate and franchise culture. The Meineke company history began with basic principles and one-on-one interface lead to five franchises. Because the company began with the independent owner model in mind, our franchise owners are seen as the essential influencers in the organization. Vehicles are no longer considered a modern convenience, they have become a necessity. Regular maintenance and emergency repairs are a requirement to keep cars on the road. This dynamic and growing industry for complete auto care is one we are proud to be a part of. 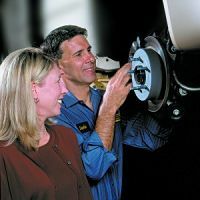 Meineke Car Care Centers provides comprehensive training and franchise support for your franchise. We make sure our franchisees are well-equipped for long-term success as partners of Meineke. To find our more about this Meineke location, Please fill out the form below and submit. Bergen County - New Jersey - $0 SOLD!